Of all the literary works that deal with lesbianism or have lesbians as lead characters, how many have been written in Indonesian? Try to list them and you will realize that there are very few. Oka Rusmini mentions lesbians in her novels “Tarian Bumi” (“Earth Dance”) and “Tempurung” (“Shell”). Other titles include “Club Camilan” by Bella Widjaja, Brigitta NS and Donna Talitha, as well as Alberthiene Endah’s “Dicintai Jo” (“Loved by Jo”) and “Detik Terakhir” (“The Final Second”). These are not even enough to fill a single bookshelf on lesbian literature — if Indonesian libraries had such a section. This is why a new anthology of short stories titled “Un Soir du Paris,” French for “An Evening in Paris,” is long overdue. It compiles 12 lesbian-themed short stories, each by a different author, making it the first lesbian-themed work of its kind in Indonesia. The anthology allows readers to sample different viewpoints on this controversial issue. However, it is still too early to tell whether this work will encourage other writers to produce a wider array of lesbian and gay literature. Like most anthologies that tackle a single theme, some of the stories hit the mark much better than others. After reading this book, I found it impossible to look past the tendency of many writers to present their lesbian characters as confused and trapped in unhappy marriages or relationships. It’s a valid plot point but some of these stories don’t develop it further. This can be seen in Cok Sawitri’s “Sebilah Pisau Roti” (“A Blade of Bread Knife”) and Shantined’s “Saga,” two stories that never seem to get off the emotional launch pad. Maggie Tiojakin’s “Hari Ini, Esok dan Kemarin” (“Today, Tomorrow and Yesterday”) nearly falls into the same trap, but is saved by its ability to project a suspenseful, foreboding mood. But Seno Gumira Ajidarma’s “Dua Perempuan dengan HP-nya” (“Two Women and Their Phones”) and Ucu Agustin’s “Lelaki yang Menetas di Tubuhku” (“The Man That Hatched Inside My Body”) more than make up for the weaknesses of the other stories. Both narratives provide readers with a sense of liberation. Seno’s main characters feel content with their choices, while Ucu puts her character’s problems into sharp focus and builds on the ensuing conflict. Agus Noor’s “Potongan-Potongan Cerita di Kartu Pos” (“Bits of a Story on Postcards”) and Ratih Kumala’s “Tahi Lalat di Punggung Istriku” (“A Mole on My Wife’s Back”) have carefully crafted plots that offer interesting twists at the end. “Tahi Lalat,” however, uses lesbianism as the twist itself, which would have been more of a surprise if the story wasn’t already in a lesbian-themed anthology. “Kartu Pos,” on the other hand, folds subtle lesbian elements to make the unique and symbolic narrative come full circle. 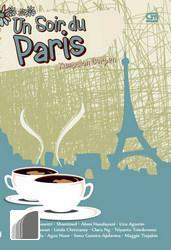 Stefanny Irawan’s “Un Soir du Paris,” used as the title of the anthology, also ends by revealing that the two main characters are lesbians. However, the story’s tone, conflict and execution make this short story unforgettable. Triyanto Triwikromo’s “Cahaya Sunyi Ibu” (“Mother’s Silent Glow”) has an intriguing premise. The story revolves around a boy who suspects his mother, a former member of the Indonesian Communist Party (PKI), of carrying on a lesbian relationship with a Jewish woman. Both women repeatedly try to escape from a nursing home run by a cruel nurse, until one of them is killed in the attempt. The story manages to offer a satisfying ending, but it is sometimes mired in over-the-top poetic language. Linda Christanty, an author who has explored the theme of lesbianism before, in her short story “Mercusuar” (“Lighthouse”), makes an appearance in the anthology with “Danau” (“Lake”). It is written with her characteristic emotional depth, but “Danau” mostly delves into the main character’s past instead of her present lesbian relationship. A vague connection between the two relationships makes it feel like the story is treading water, but it is a compelling read. Meanwhile, Clara Ng’s “Mata Indah” (“Beautiful Eyes”) and Abmi Handayani’s “Menulis Langit” (“The Sky Scribbler”) dive into the world of fairy tales. Abmi’s whimsical tone lends excitement to her story. The main character is set free to write poems in the sky and bets with God in an attempt to be with the angel of her dreams. Clara’s story, meanwhile, is tinged with darkness and symbols that expose how hateful society can be. She says Indonesian writers dealing with lesbianism should attempt to make bold ideas and language jump from the pages if they want to truly represent the lesbian community’s long and brutal struggle to gain acceptance in the country. It is unfortunate that this statement is true, but it is also heartening to know that all the stories in the book serve as starting points for the long struggle ahead. If this book inspires other writers, especially lesbian writers, to follow suit, “Un Soir du Paris” will have played an important role in helping Indonesia’s lesbian literature move closer to the point where it can change society’s views on homosexuality.